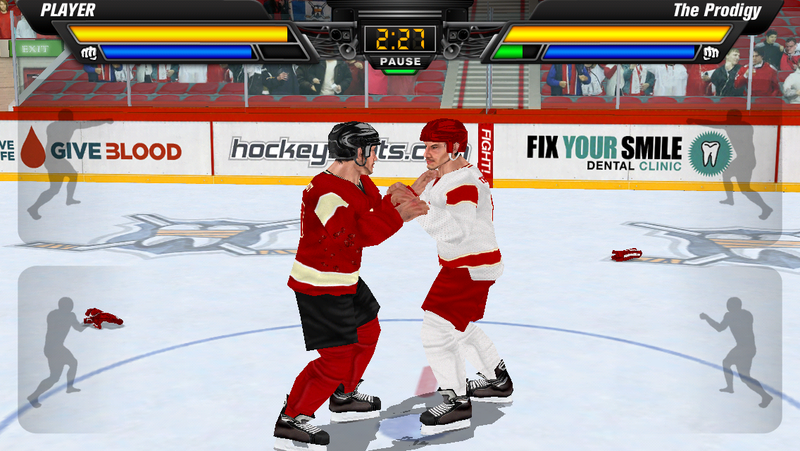 We are working on the Olympus Hockey Game, a top down 3 on 3 hockey app. The HTML5 tech demo is done, I will share when it gets to the point where it is playable. In order to monetize the app we will start by wrapping it with a program like Ludei. This will allow us to monetize the app just like a native app. 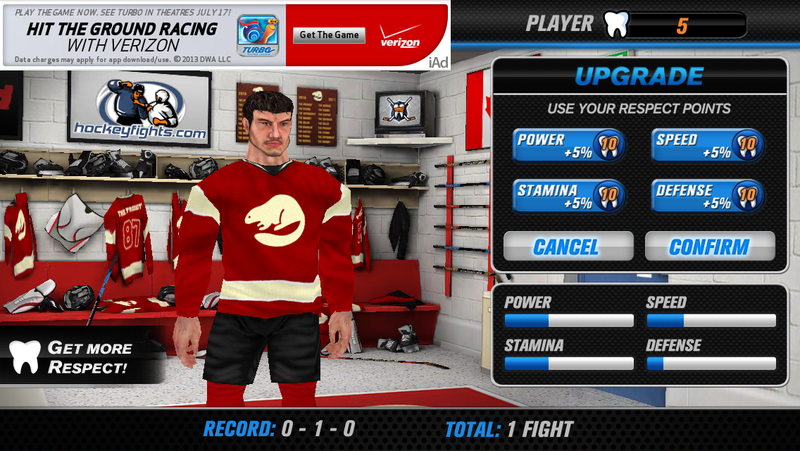 I played through every hockey app on the Apple App Store tonight. 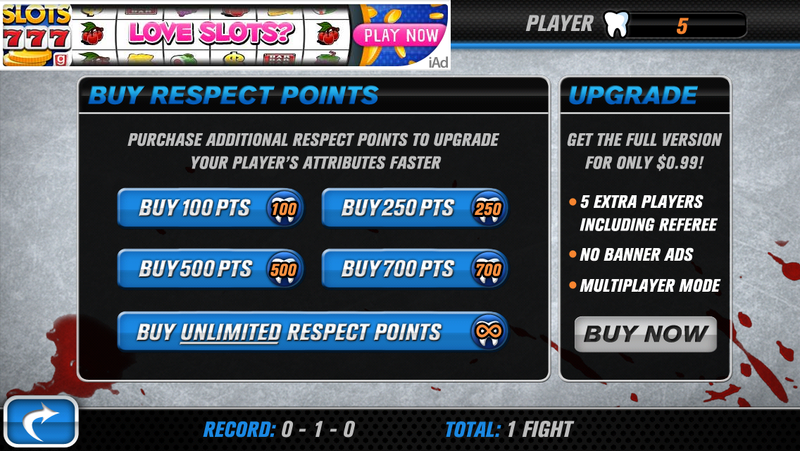 Here are some screenshots with some good and bad examples of in game monetization. 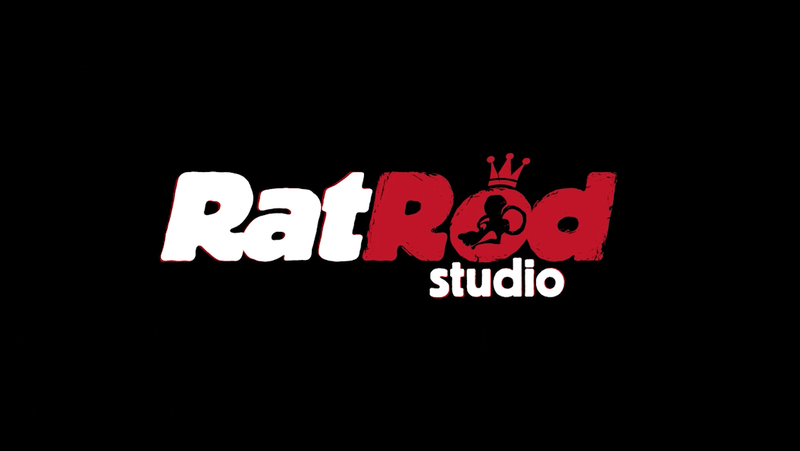 Studio that made the game for them. Their main menu, notice the prominent Ad in the upper left hand corner, probably a bad idea. The game uses a standard credit mechanism, you can choose to play the game to earn credits to upgrade your player or you can pay extra for credits at any time. Buying credits alone is much more expensive. The actual gameplay has no obvious ads. The billboards are used slightly, this seems like a good use. An ad and a sponsor reference on the instant replay screen, these both seem like good uses. Link should be clickable. Game over screen contains ads and social media links, format seems a little off, but it is the right idea. Jumping to a different app. 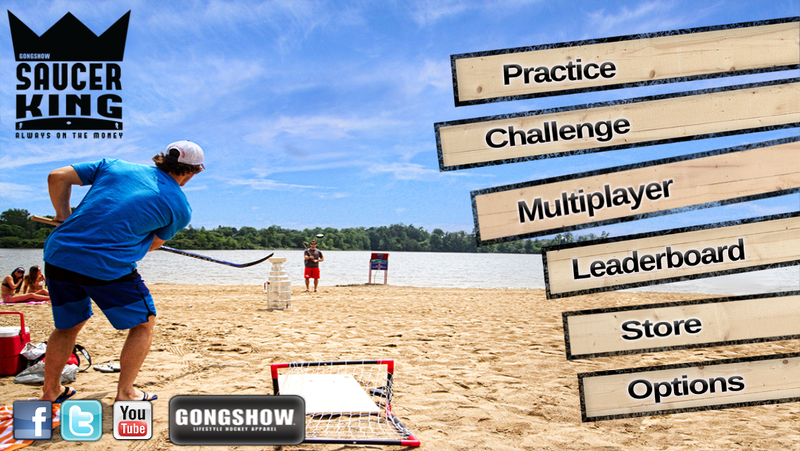 This app was created by/for Gongshow (hockey apparel), it is a simple slap shot game. I think they did a really good job with their menu page. 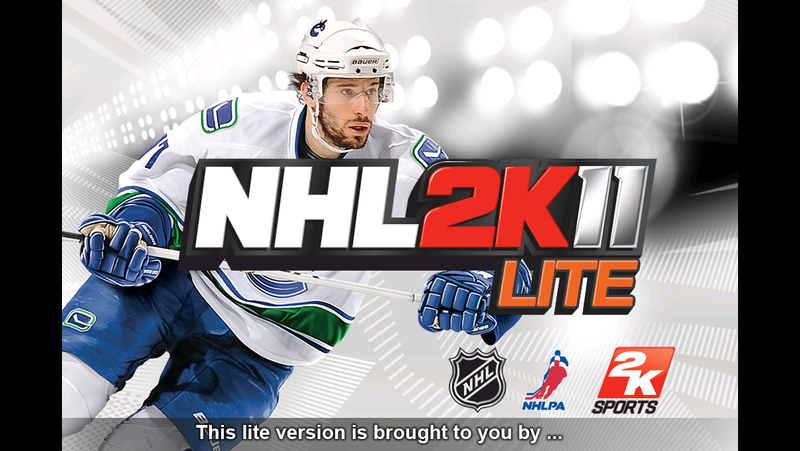 Logo is prominent, picture is very suggestive what the game will be like. Great use of social icons and a link to their homepage. 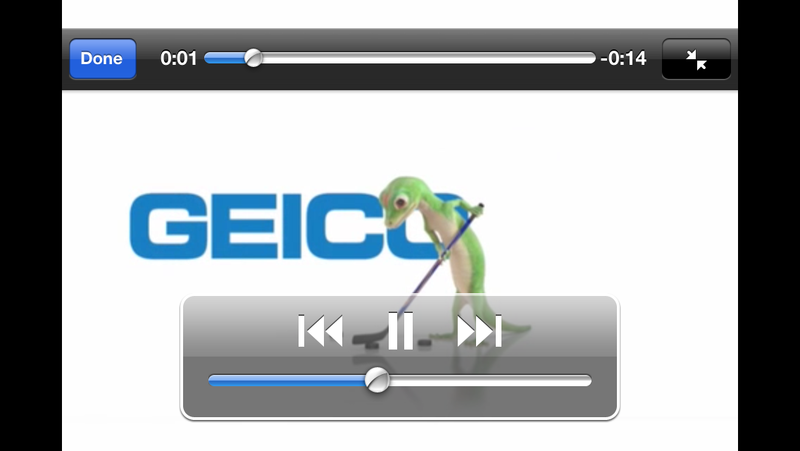 Other apps make you watch video ads.